This premium brush is perfect for all those hard-to-reach places. Use it to conceal beautifully around the eyes and nose area to create an even and refreshed complexion. The bristles are also highly durable, made with high-tech synthetic hairs for a smooth and easy application. 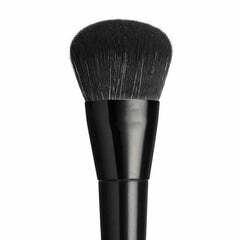 The brush can be used for contouring smaller areas on the face such as the nose bridge and brow bone. It’s essentially the fiercest little brush you can have in your makeup kit. 16.5cm full length. Bristles - 1.4cm high, and 1.2cm wide.